Alan Jerabek, 74, of Hutchinson, died Friday, Jan. 5, 2018, at Abbott Northwestern Hospital in Minneapolis. Honorary casket bearers were Mr. Jerabek’s grandchildren. Casket bearers were Lowell Brecht, Steven Brecht, Wallace Ide, Tim Kosek, Jeff Kosek, Richard Kosek and Terry Selle. Interment was in the Oakland Cemetery in Hutchinson. Alan James Jerabek was born June 26, 1943, in Hutchinson, the son of Jerry and Dorothy (Brecht) Jerabek. He was baptized as an infant on Oct. 7, 1943, and was confirmed in his faith as a youth on June 9, 1957. 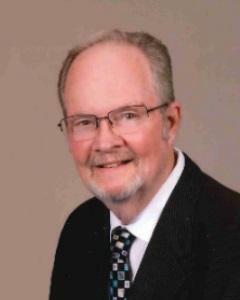 He received his education in Brownton, and was a graduate of the Brownton High School class of 1961. On May 9, 1964, he was united in marriage to Sandra Kosek at St. Boniface Catholic Church in Stewart. Their marriage was blessed with four children, Scott, Sherry, Stacey and Shannon. The couple resided in Brownton, and moved to Hutchinson in 2003. They shared 53 years of marriage. Mr. Jerabek was employed as a tool and die maker at 3M in Hutchinson for 31 years, retiring in October 2003. He was an active member of Grace Lutheran Church in Brownton, where he was a previous member of the church council and had served as treasurer. Mr. Jerabek enjoyed manicuring his lawn and gardening. He also enjoyed Bible study, attending music concert series, and playing chauffeur to the love of his life, Sandy. He especially enjoyed spending time with his family, grandchildren and friends. He is survived by his wife, Sandra Jerabek of Hutchinson; children, Scott (Sally) Jerabek of Belle Plaine, Sherry (Daryl) Ekstrom of Chaska, Stacey Harpel (significant other Mike Waletzko) of Glencoe and Shannon Jerabek (wife Michele Barley) of Brownton; grandchildren, Briana Ekstrom, Andrew Harpel, Alexandra Ekstrom, Allie Harpel, Emmi Jerabek, Ross Jerabek and Sydney Harpel; sister, Susan (Wallace) Ide of Silver Lake; many other relatives and friends. He was preceded in death by his parents, Jerry and Dorothy Jerabek; and grandparents, Charlie and Elsie Jerabek and Theodore and Rose Brecht. Arrangements were with the Dobratz-Hantge Funeral Chapels in Hutchinson. Online obituaries and guest book are available at www.hantge.com.